Our portfolio of services is oriented to bringing cost-effective solutions with cutting-edge technology. We can count on highly skilled human resources that are totally committed to providing excellent service that guarantees the best quality in your business. Equinox Teleservices’ main asset is human resources, which is why we are committed to carefully recruiting, selecting and training our team. We have a group of professionals who understand the requirements and needs of our customers and who can easily adapt to different circumstances. Once the staff has been recruited, there begins the training process where our agents are educated about the specific procedures of the provided services. Coaches simulate scenarios for the agents in training so that they get familiar with different everyday situations they might find on the floor. They are able to listen to senior colleagues, leaders and trained supervisors on how to deal with real-time environments. 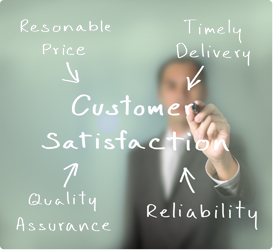 To assure excellence in service, our quality control department performs random monitoring and evaluation processes. On a weekly basis, calls are monitored in order to provide the agents with adequate feedback and also to be in compliance with the highest levels of quality standards in the industry. Equinox Teleservices offices are designed to work 24/7 under the most severe conditions.We use cutting-edge technology to meet the challenging needs of our customers. Our IP Backbone is interconnected to four independent internet providers, which deliver the required capacity, balance and redundancy needed.